In person – go to the school when the Bookstore is open. During the summer, the Bookstore has limited hours so we advise calling ahead to make sure they’re open. Mail – mail your payment to the school, attention Bookstore. You will need to follow up to make sure your payment is applied properly and on-time. Online – this is likely the easiest and most convenient way to pay. Log in to the PVUSD Payment Portal using your login information. 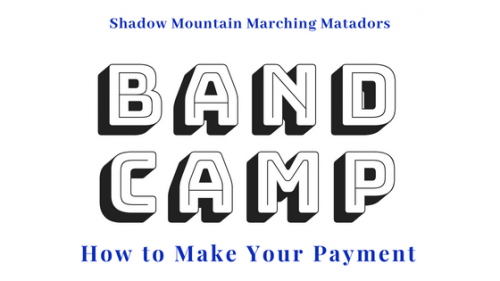 If you are paying by non-tax credit, select “BAND CAMP – NON TAX CREDIT”. On the following page you will indicate a quantity of “1” and click “Buy”. Checkout by clicking on the “Checkout” in the upper right of the screen. Follow the prompts to pay with Visa, Mastercard, or Discover. If you have questions, post them in the Facebook Group and someone there can likely help you.